Ok, so are you in the team “I looooove cutting cabbage”? 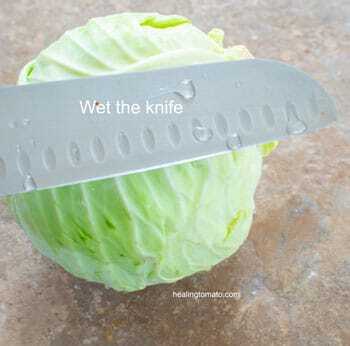 Are you on team “Why was cabbage created in the first place because its a pain to cut”? I hope you are on the first team and not the second one…..
….But that also means that you probably won’t be reading this article. I think everyone will find something interesting and useful in this article. Cutting cabbage is a fun process and you get a so much satisfaction at the sight of a fully chopped head of cabbage. 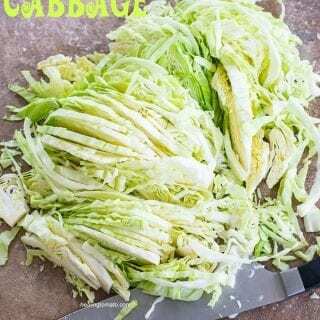 What to make with cabbage? 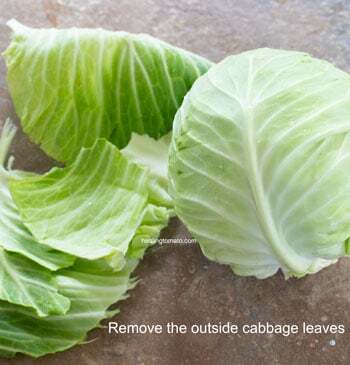 2) Remove the outer leavers of the cabbage. See section below on what to do with these leaves? 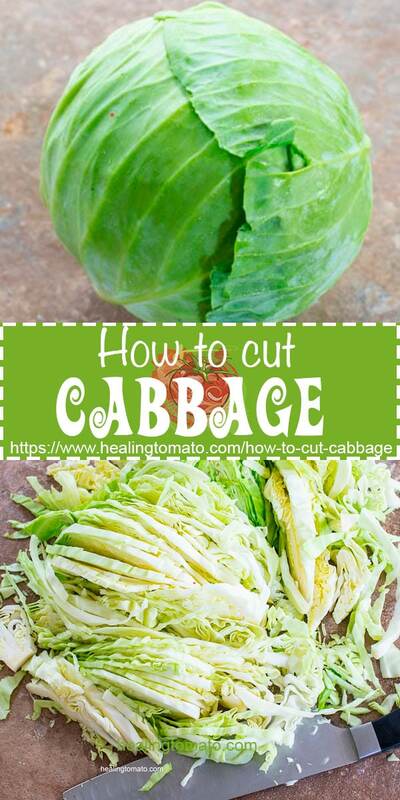 3) The first thing I like to do is to cut of the bottom stem of the cabbage. Most of the grocery stores now sell with the stem cut off, but, just in case you don’t get one with the stem cut off. 4) To make your life easier, wet the knife before cutting into it. 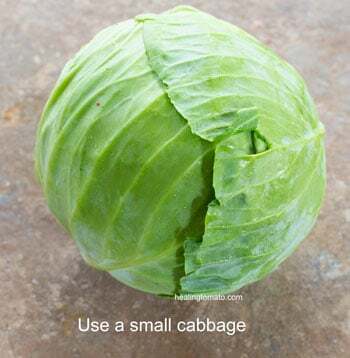 6) Once you have cut it into half, take a minute to admire the inside of the cabbage. Don’t you just love that maze look it has on the inside? 8) Take one of those half and set it on its side. Start by cutting it into strips from the edge. 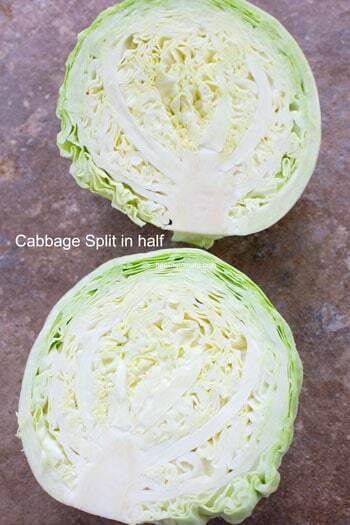 10) Repeat the steps for all cabbage “halves”. Once done, you can’t help but admire your wonderful handy work. 12) Take a big bowl and fill it halfway with room temperature water and add a 1/2 tsp of salt. Stir and then place the washed cabbage strips into the bowl and set aside for about 10 minutes. This will help soften them up and cook faster. Also, the cabbage practically melts in your mouth when you eat it. 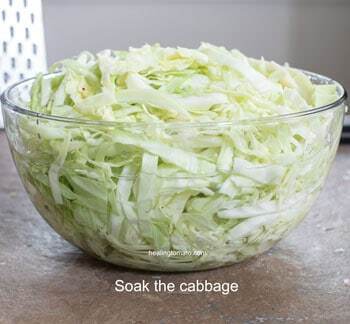 When you are ready to cook the cabbage, drain the water and paper-towel dry it to soak up as much water as you can. Then add it to the pan for cooking. That’s it! 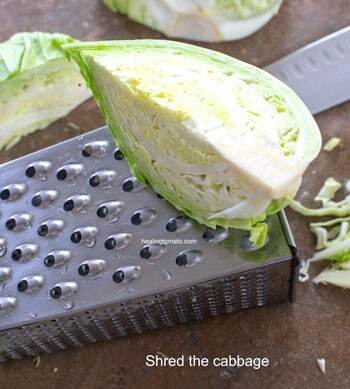 It’s really fun to cut cabbage, so, let me know how it worked for you. 3) The end results is a really thinly shredded cabbage! Its so perfect for cooking, isn’t it? 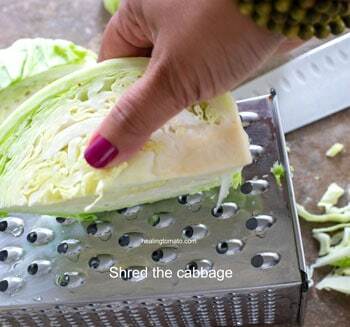 Personally, I think this method of shredding makes the cabbage too small. 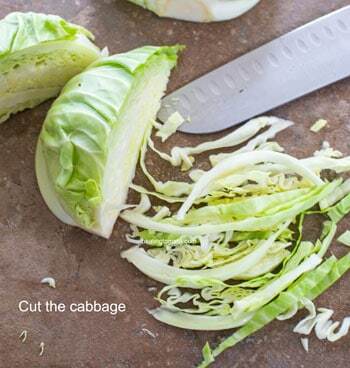 This cut is great for cabbage soups or stews. 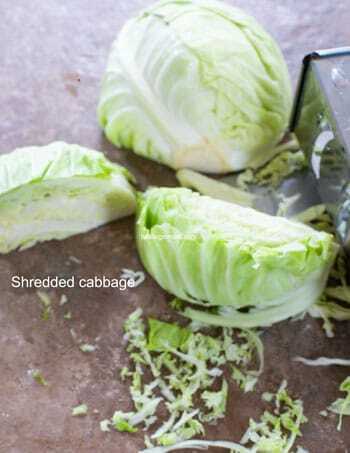 I have actually used this cabbage in a burger recipe before and it was the perfect cut for it. 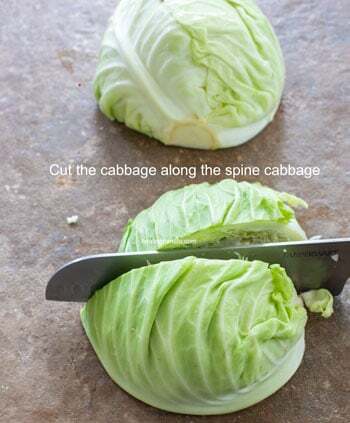 So, which “how to cut cabbage” method is your favorite? 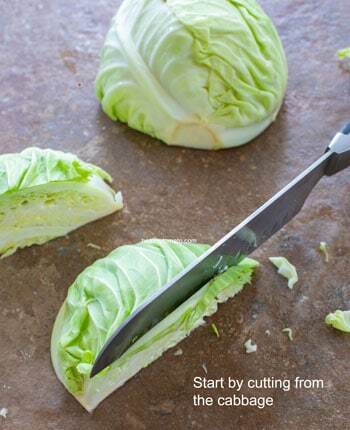 Before I learned how to cut cabbage, I had to learn how to pick the perfect cabbage. Here are some of the things I look for when buying cabbage. A cabbage is perfectly ready when the outer leaves are dark green! The cabbage is at its peak when you see the green color on the cabbage. If you see too many “hole” on the outside of the cabbage, it’s probably not a good idea to cook it at this point. Maybe use it in a kimchi recipe or put it in a pickled veggies recipe. This really depends on your personal preference. I prefer a cabbage that has a little sweetness to it. The smaller ones tend to be sweeter and crispier. This is a strange trick I have learned. I notice that the grocery stores will put the older cabbage on top and the newer ones of the bottom. So, I always go digging a little to find the newer cabbage. I really hate wasting food, but, its inevitable. I do as much as I possibly can to save food in any way I can. So, I have found that the cabbage leaves are the perfect compost material. Put it in your compost bin for about 1-2 weeks. It doesn’t take too long to compost a few leaves of cabbage, so, they should be ready after 2 weeks. 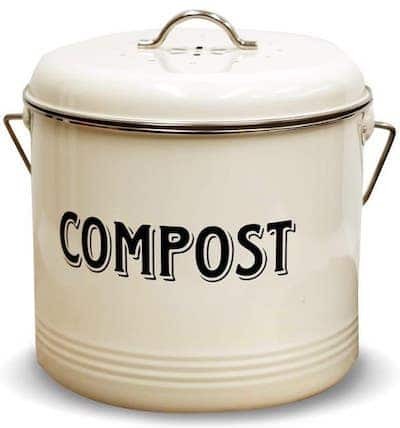 This (affiliate link) compost bin from Amazon is my favorite bin. Which one do you use? Ok, so, you don’t have a compost bin! What do you instead? Well, before I had a compost bin, I would put the cabbage leaves out in the garden. 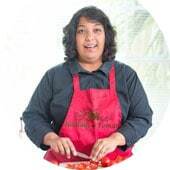 I had friends who grew tomatoes or had fruit trees. I put the leaves there and they would convert into soil food over time. I have seen some women put it in the soil where they are growing roses. I can’t vouch for whether it helps the roses or not, but, its worth experimenting. I have to admit I was struggling to find a third way to use cabbage leaves. When growing up, a family friend had a tortoise. We used to feed it cabbage leaves and they loved it. Then, over Easter, a neighbor bought some black rabbits and I saw that she they were being fed carrots and cabbage. It took me back to the time we used to feed tortoises with cabbage leaves and I couldn’t help feeding these cute rabbits with cabbage leaves too. So, if you have cabbage leaves and access to a rabbit or tortoise / turtles, feed them the green leaves. First, make sure you wash the leaves thoroughly before serving it to the animals. Also, cut them up into pieces and they will find it easier to eat them. 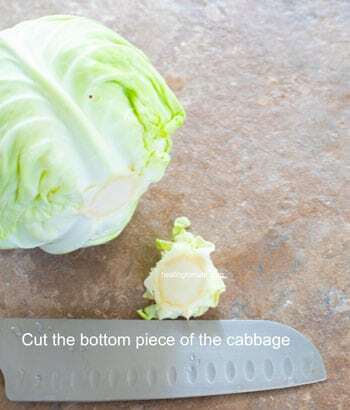 Ok, so now you are a pro at how to cut cabbage! What do you do with all the cabbage you cut? Well, make food out of it, right? 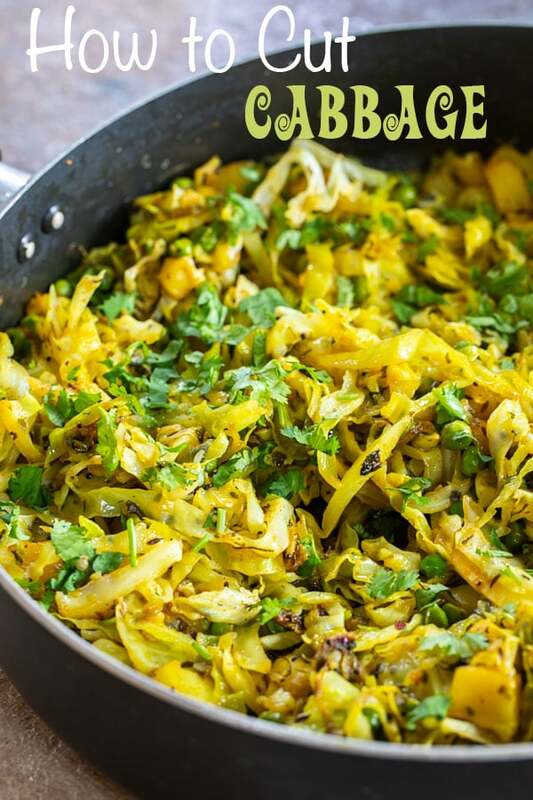 My all-time favorite cabbage recipe has to be Aloo kobi (Indian Style). Here is a photo I took of the recipe I made using the cabbage I used for the above pics. Sorry, no recipe at this time, but hopefully, this recipe will make it on the blog some day. 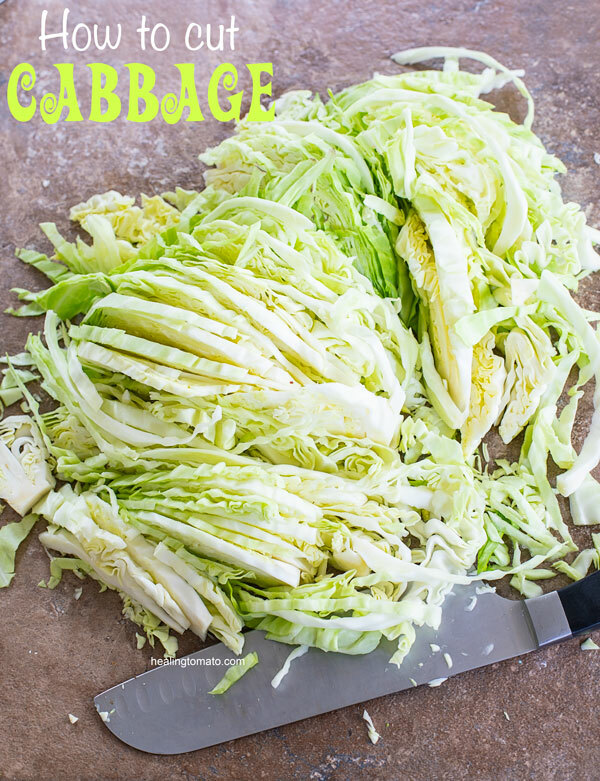 In the meantime, here are some fan favorite cabbage recipes from my blog. Which one is your favorite? 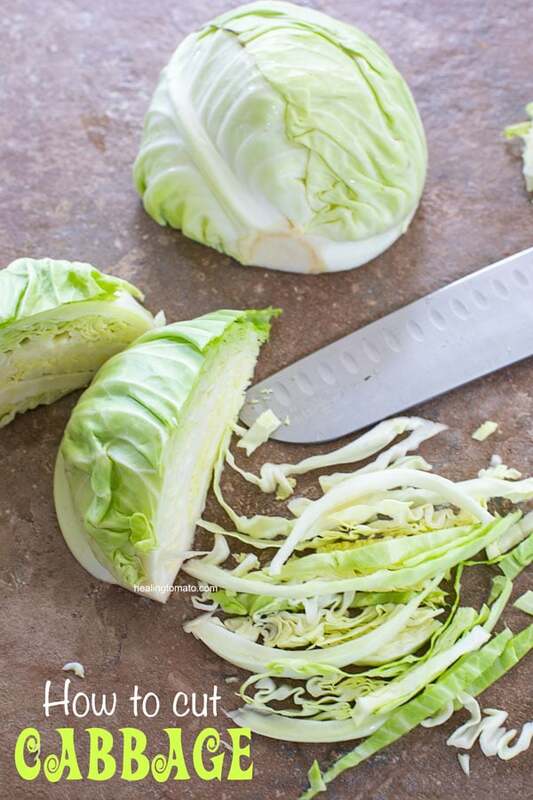 Give me some of your tips on how to cut cabbage and what to do with the outer leaves. To make your life easier, wet the knife before cutting into it. Take one of those half and set it on its side. Start by cutting it thin strips starting from the edge. 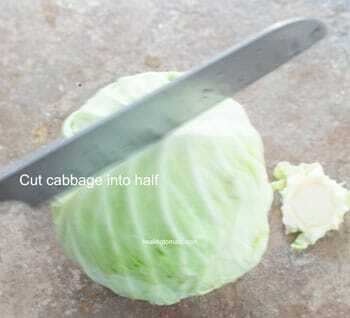 Repeat the steps for all cabbage "halves"